La La Land is the new Damien Chazelle film that has swept the world off its feet this early 2017. It is undeniable that we can all do with a bit of escapism at the moment- to think of days more halcyon and less Trumpian. But is it worth the hype? Are the criticisms of the film valid? So let’s cut to the chase. I really loved la la land. I don’t think it’s ‘life changing’ or the ‘best film ever’ as some have gushed during the hype around this film, but it is brilliant. There have also been criticisms of the film regarding race in the film and diversity in the awards hubbub that surrounds it. I think that these are valid criticisms and there should be a discussion of such issues in film and film industry if we hope to start challenging these things. Yet I do not believe that means you have to boycott a film or can’t enjoy it because it doesn’t tick all the boxes- no one film is going to be a superhero film. We just need more films, with more variety and more choice and for the film industry to fuel a collective film shelf that encompasses a rich tapestry of tales. Now to the film itself. It stars Emma Stone as aspiring actress Mia and Ryan Gosling as Seb the jazz evangelist and follows with charm and wit their relationship, their setbacks, and their success. There is much to talk about with La La Land. The cinematography is amazing as is the music. On a second viewing the aesthetic beauty of the film became much more notable. You could take many a still from the film that would not look out of place as an Edward Hopper painting. These elements of the movie are the most whimsical and serve as a love note to Hollywood. This is made more explicit with many references to classic films. The sentimentalism is masterfully balanced with a coating of knowing humour. For a film that Romanticises so much, it simultaneously does not take itself too seriously. It laughs at Hollywood and the naive and ambitious central characters but is not cynical. Many a film has been made as a monument to Hollywood: from the contempt seen in Cronenberg’s Maps to the Stars to the downright psychedelic vision of Lynch’s Mulholland Drive. They would make for interesting comparison. However, I think La LaLand differs to these because although LA is present and Hollywood is present, they are not what the film is about. The film is about dreams. No not in a Freud way but in a far more accessible way. The film is about creative people who feel compelled to pursue their dreams. Both Stone and Gosling’s characters are purists about their art and manage to be ambitious without being ruthless. Yet with the same hand that their passion provides them much joy it also provides itself with much heartache and disappointment. This is my favourite part of the film and why I’d recommend it to anyone beginning a creative career or anyone applying to university. These are times where rejections often fly at you at quite a speed and can leave you feeling like a deflated balloon or like that plastic bag in American Beauty. La La Land’s prevailing message is that life won’t give you all that you want but that’s ok because we are all experiencing this continual adjustment to disappointments together. 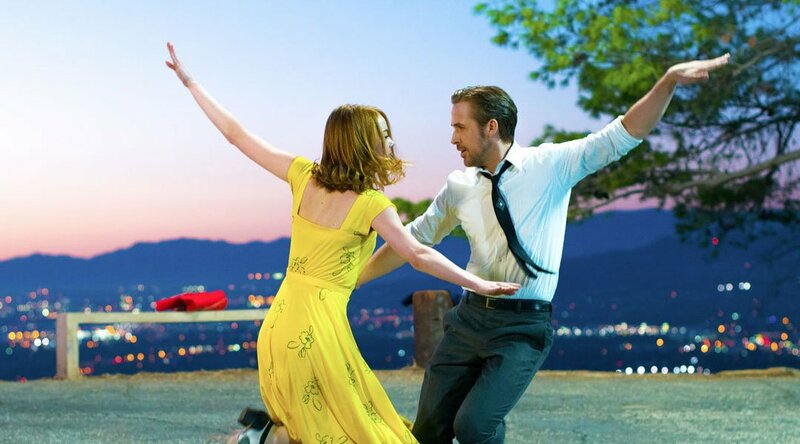 La La Land is something novel: It is a big Hollywood musical with a moderate message about compromise and disappointment and deciding to embrace this and be a Romantic despite it all.